Providing a mix of community spaces and executive offices this coworking location is in Beverly Hills. Both part- and full-time accommodation is available. The regional transportation provision present in the area is both excellent and ideal for all commuting or travelling professionals, with an extensive variety of convenient and frequent transport services in operation throughout the locality's major road and rail infrastructure. This Beverly Hills executive centre offers the best in professional business service. Hosting office and virtual suites with a range of facilities including high speed network access, friendly reception staff and excellent conferencing facilities. This is a great location, close to the finest restaurants and easy to reach by car. These fully furnished offices offer 24/7 access and floor to ceiling windows. All offices benefit from AC and heating, Internet, and reception services. This Los Angeles business centre is offering flexible suites on a monthly contract with no down payment. These suites are completely serviced. Private suites available offering great views. Low cost virtual offices also available. This landmark location will soon house this center providing a choice of furnished office spaces and meeting rooms. Within walking distance of Rodeo Drive and close to companies from the movies, the media, and production industries. With a striking and pioneering architectural design by Victor Gruen, this stunning landmark office building provides a prominent and prestigious address in the heart of Beverly Hills just a short walk from Rodeo Drive. As well as a range of flexible office solutions this center includes a large business lounge, underground parking and common areas with wood-panelled walls and marble and granite flooring. This exquisitely furnished and exceptionally well supplied office installation provides all prospective tenants with a range of state of the art and technologically innovative facilities and on-site equipment, in addition to specialist provisions and corporate level support as standard for all occupants. For those choosing public transport or regular commuters to the site, buses stop right outside the center at regular intervals. 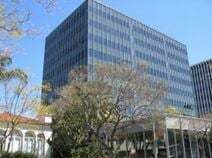 Specials offered in this exclusive business centre located in the heart of Beverly Hills and easy freeway access. Includes great views, corporate facilities and tea-point all at great business packages. 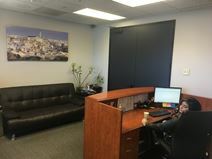 This luxurious, premium quality and highly exclusive Beverly Hills business center location is situated exceptionally close to all of the central business district's high end amenities and local services, as well as being very close to the Hilton Hotel and other high class accommodation options. This building provides a great working environment with fabulous views of the city with a range of business facilities.